Natural Easter Egg Dye Recipe! 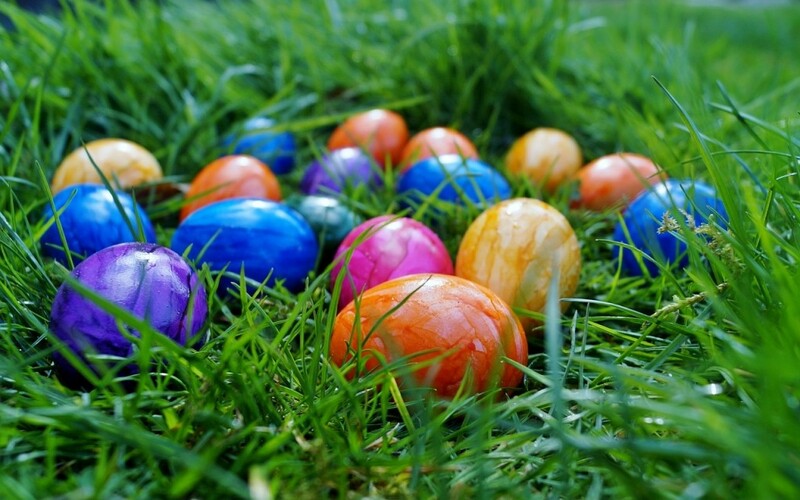 Enjoy this natural Easter Egg Dye Recipe from Healthychildren.org! It’s a fun way to spend time with your kids, experimenting with different colors and combinations as you make your own dye from things you can find in your own kitchen. While it’s important to realize colors may not always turn out the way you expect, natural dyes are a fun way to get creative. Cabbage is bright purple, for example, but dyes eggs a pale blue. To get your creative juices flowing try tea or coffee, paprika, beets, grape juice, even things like yellow mustard. Try anything that you think might work – and see what you get! Put the vinegar and water in the pot with your natural dyeing agent of choice. Put the pot on the stove, turn the heat to medium-high, and bring to a boil. Lower the heat to medium and boil the mixture for 30 minutes. Turn off the heat. To color the eggs, soak them in the dye mixture for at least 30 minutes. For really rich colors, try soaking them overnight.